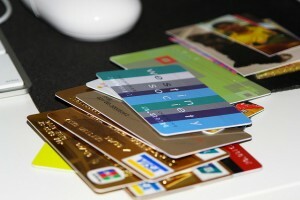 Although investment reward credit cards are not very well known, they should be. Investment cards offer great rewards for those who want to use their credit card purchases as a means to not only increase their retirement fund, but also their investment portfolios. This card is essentially the same as other rewards cards on the market, you get points but then it allows you to deposit your rewards into a brokerage account, a 529 college account, or retirement fund. Some good cards that are a part of this program include Fidelity Investment Rewards American Express, Visa Signature cards, and Upromise World MasterCard. It’s good to remember that like most investment options, the money grows over time and can also lose values depending on the market and how you invest your funds. In the end, your extra dollar amount funneled into an account won’t make you rich, but it will help you add to and supplement to what you already have saved. These funds shouldn’t be used as a sole source for your next egg or investments, but it’s a great step in the right direction to helping you save money. There are many things that college students should consider before signing up, and credit cards are no different. But, not many know that there is a special credit card available that is linked directly to a 529 account that may help cut college costs. Operated by state or educational institutes, a 529 plan helps families and students set money aside for future college costs. Paying for bills or buying groceries with these kinds of credit cards helps you save money without even thinking about it. It may not be much on a daily basis, but over the months and the years, you could eventually save up hundreds and thousands of dollars to help pay for college costs which is probably more than what most people would do on an elective basis. Some major cards that are a part of this are BabyMint Platinum Visa, Futuretrust MasterCard, and Upromise World MasterCard for either gas or dining and grocery rewards. One of the more popular choices and a better option for most, the cash-back rewards cards are a great way to help you save money in the long run. Many of them come with a certain percentage of cash back, usually around 5% on every day spending at restaurants, grocery stores, some department stores, and gas stations. As long as you are paying back your credit on time and have a way to help you keep track of your debt, such as a debt calculator, then most of these cards will help you make extra money at the end of the year that you can put towards your debt or save for later. Many of these cards even have no annual fees, no sign up fees, and have usually 12-15 months of 0% interest. Some of the better cash-back reward cards out there are the Citi Double Cash Rewards, Blue Cash Preferred, and Chase Freedom. Overall, it can be a bit nerve wracking having to find a credit card that works for you. One of the best ways to help you figure out which card is best for you is to study and know your spending habits and where you make purchases the most. Figuring this out will help you save money either through a points/cash-back type of system or by putting them money you earn towards a retirement fund or to pay off loans. No matter what, doing you research on cards and knowing yourself is what will ultimately help you find the best credit card that will help you save the most amount of money.